The Solomon Islands are slightly off the beaten track for most tourists, with the exception of those arriving on the increasing number of cruise liners docking in Honiara for day visits. In the second quarter of 2016 they received just 1,600 visitors of whom only 1/3 were there for holiday. The few tourists that do venture to the Solomon Islands tend to base themselves on Guadalcanal island – although there are an increasing number of boutique hotels and dive centres on the outlying islands which are accessible by pre-booked boats and charter flights. Unlike Fiji or Vanuatu, the Solomon Islands struggle for any basic infrastructure, you’ll find nothing close to a working road in the capital, let alone out of town – despite obvious signs of international aid, particularly from Taiwan. As a result of this under-development, the island is not geared up for tourism, let alone Gap Year travellers and Backpackers with only a limited number of affordable hotels/ motels. The islands also operate a ‘tourist rate’ and a ‘local rate’, so expect eye watering prices for basics such as car hire and food. Also, expect to pay the local ‘keeper’ for using the beach – usually around SI$50. You’ll also need a car – there’s no public transport so remember to budget around USD100 per day for a car. We found Economy Car Rentals in central Honiara near the tourist information centre to be the most reasonable. Perched on the hillside above Honiara, about 1km apart are the Japanese and US war memorials, looking down over Ironbottom Sound, site of some of the fiercest naval battles of World War II. The US Memorial is free to enter, but the Japanese one cost around SI$200. Scuba diving in the Solomon Islands is expensive at around USD120 per dive including transfers and all equipment. For open water and advanced divers the two Bonegi beach wrecks, the Kinugawa Maru – B2 and Hirokawa Maru – B1, as well as the B17 bomber all offer great wreck diving between 5-40m. All are also shore entry dives meaning if you’re on a budget you can snorkel the wreck of the B2 at a fraction of the price. 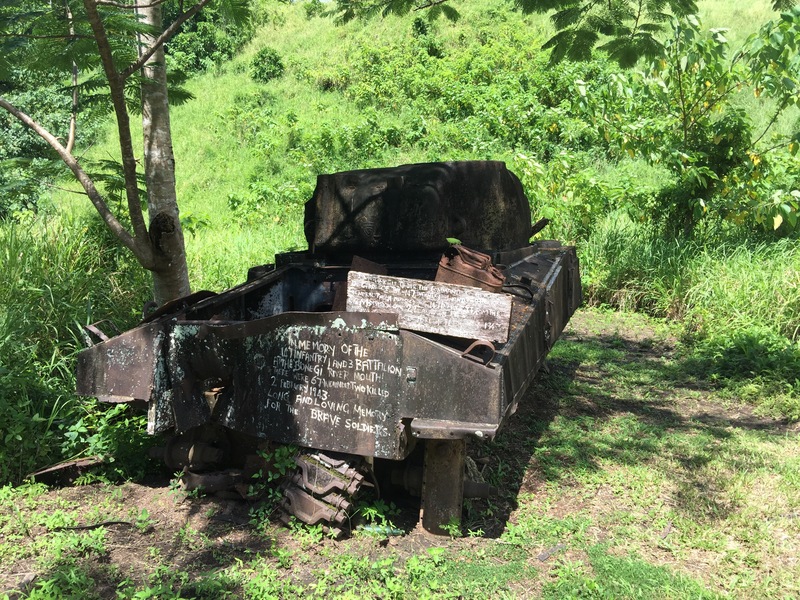 Just opposite the entry to Bonegi beach is a bombed out American Sherman tank. Access is via an unmarked dirt path just a couple of hundred metres from Bonegi beach, with the tank around 1km inland on your left hand side in a large clearing. The dirt path is likely to be inaccessible after rains and a 4×4 is always advised. 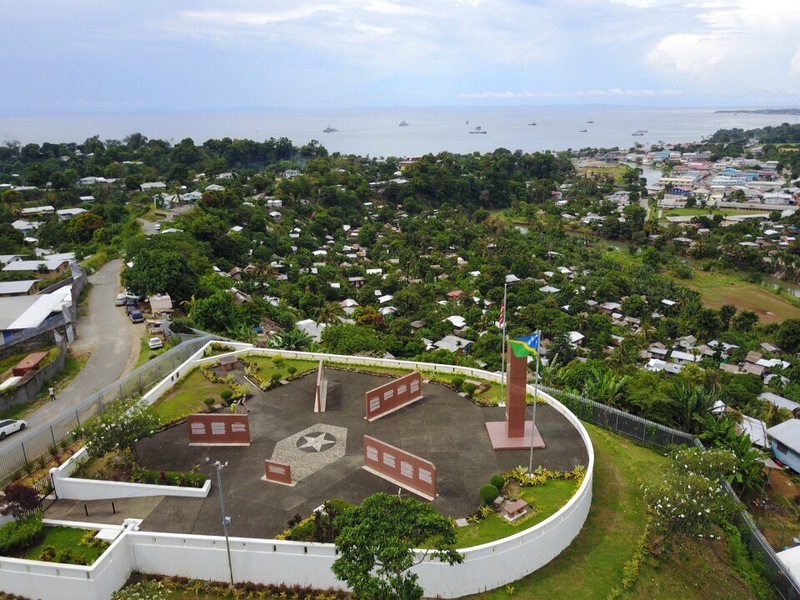 Further up the west coast is the Vilu ‘War Museum’ – less a museum and more an entrepreneurial local who has collected up armaments and placed them in their garden. 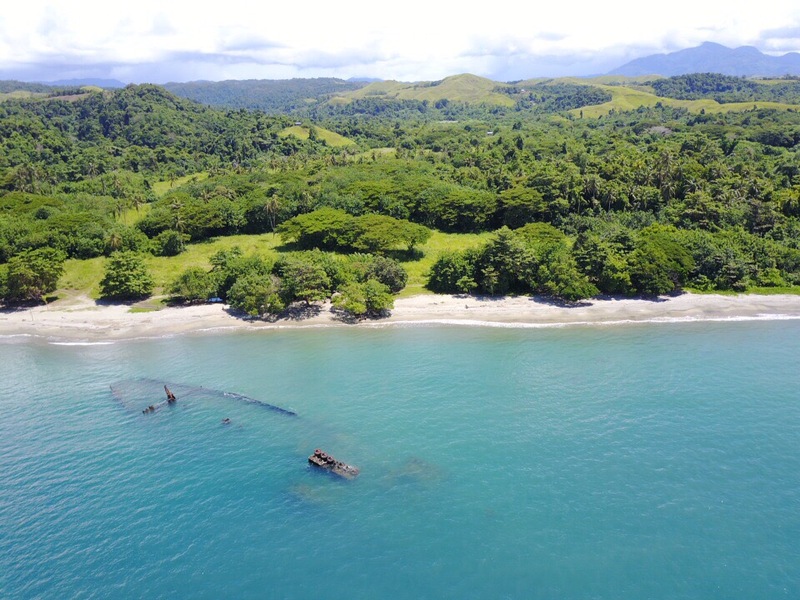 There’s an entry fee of SI$200 per person and the Mosquitos are a nightmare but if you’re looking for authentic WWII wrecks of planes and heavy artillery you’ll enjoy the trek. The newly opened Coral Sea Resort and Casino offers a perfect location for dinner and a steak with a spectacular sunset. The food is good and reasonably priced in comparison to most things on the island – bottled beer at around $3 almost feels a steal for those visiting from Australia or the UK. 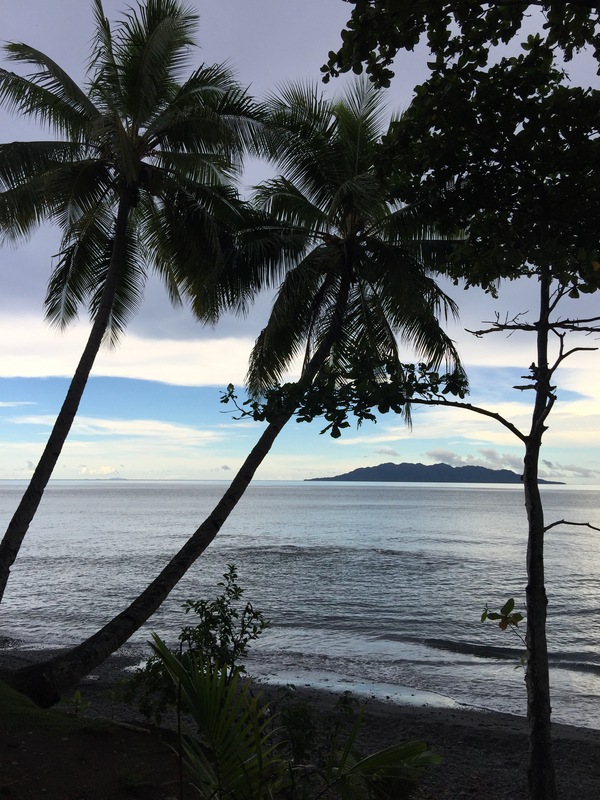 Further up the west coast, past Bonegi and Vilu the roads turn from pot-holed tarmac to dirt and you get a taste of the real Solomon Islands as you wind your way through Rainforest villages and stunning views out across the ocean. 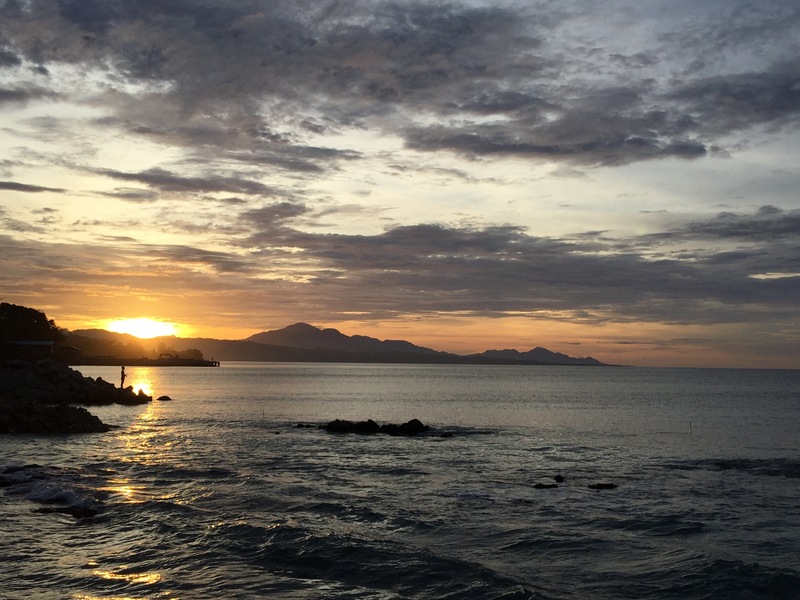 Particularly around sunset the views out to Savo Island are breathtaking a well worth the drive.